Hornbills cooperate with other animals to gather food. For example, the Eastern yellow-billed hornbills work with dwarf mongooses who wait for them before they go on a hunting mission. 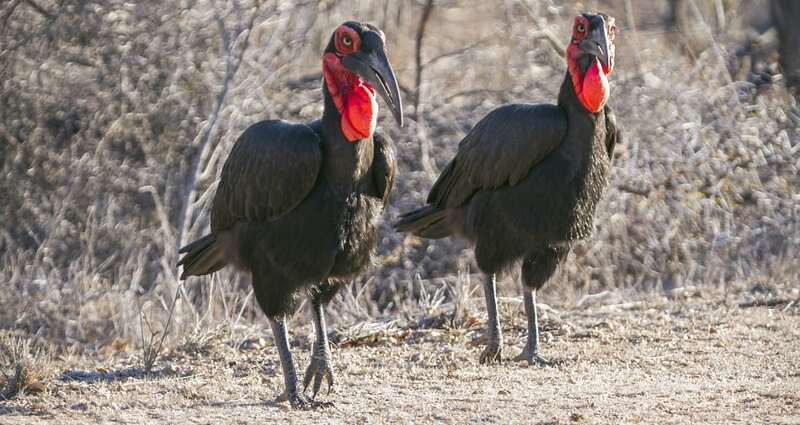 The hornbills benefit by eating all the insects stirred up by the foraging mongooses, and the mongooses gain extra eyes and ears to look out for danger.